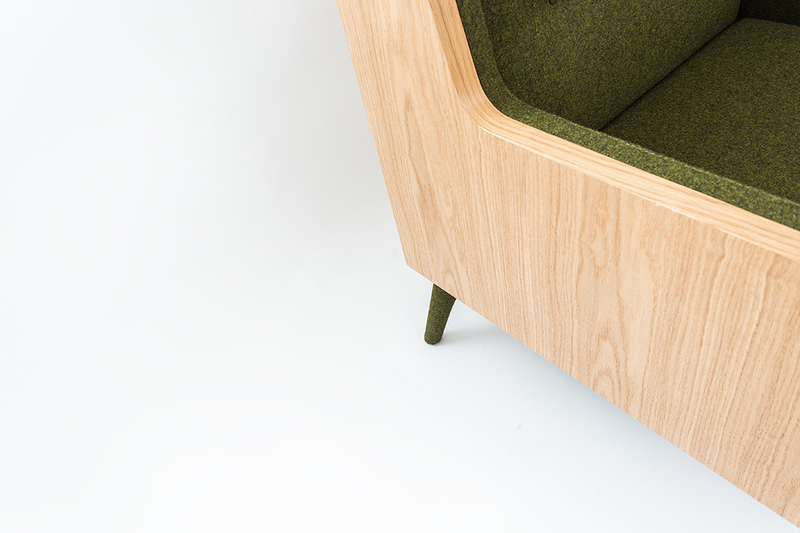 "FELT" is designed to bring a modern approach to nostalgic art-deco armchairs. Combining the natural materials wood and felt, it creates a contrast between rough and smooth and brings a fresh feeling to its environment. 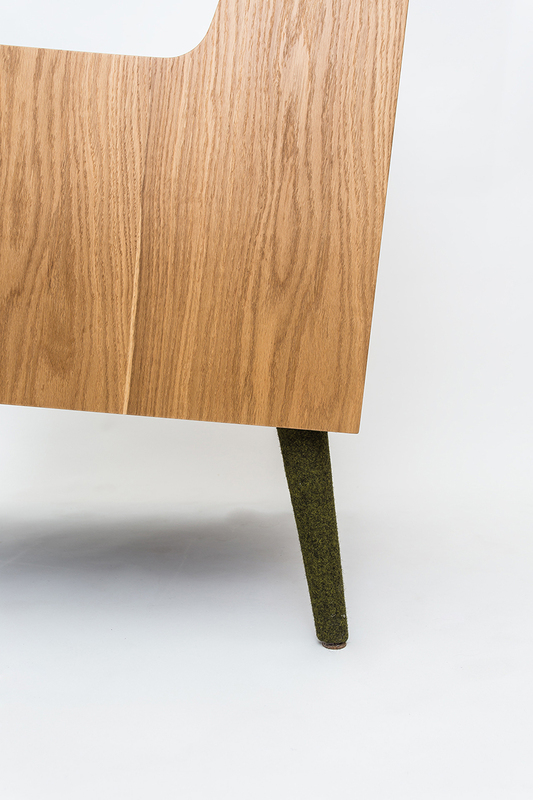 The colours of the materials are carefully selected to harmonise with each other. 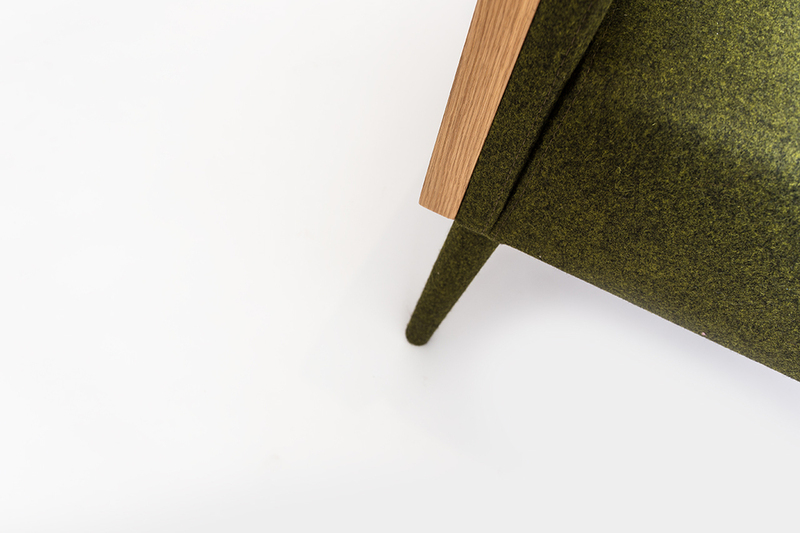 "FELT" is an example of contemporary craftsmanship which is both simply elegant and ultra comfortable. 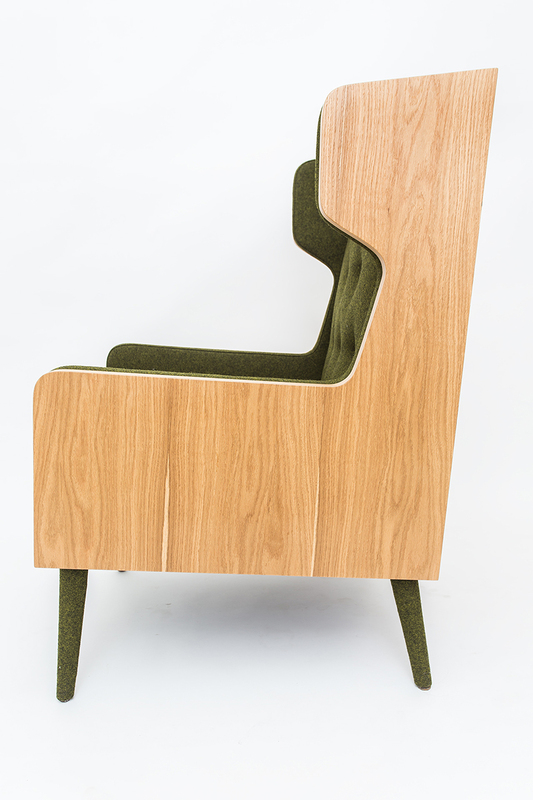 Comes in different colours and wood veneers. W 28" D 29" H 43"